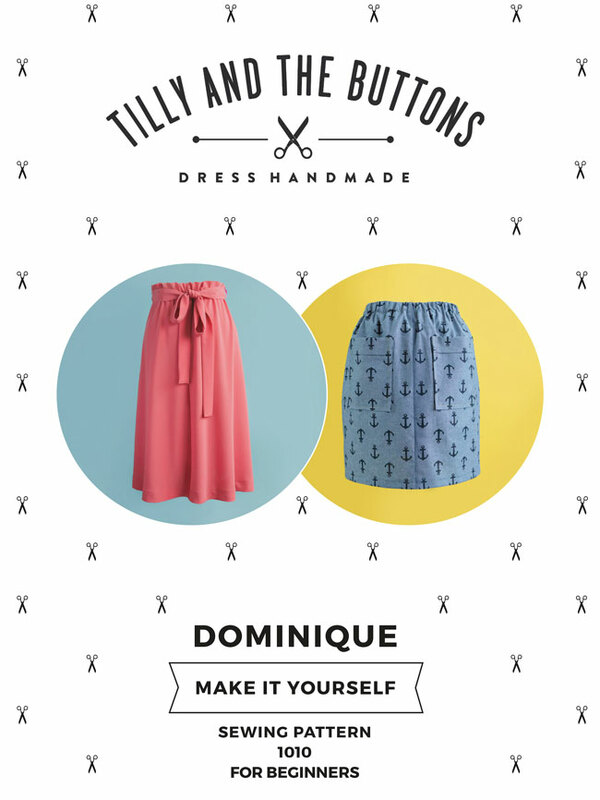 Tilly and the Buttons: Introducing the Dominique Sewing Pattern! 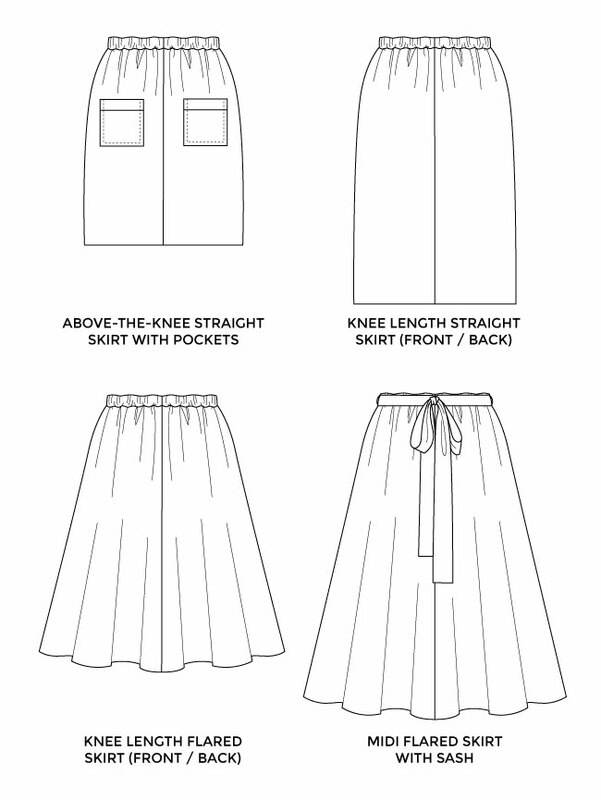 If you read yesterday's blog post about our online sewing workshops, you may have spotted mention of a new pattern used in Learn to Sew Skirts. Dominique is actually two skirts in one - ideal for novice stitchers, or a super satisfying one hour make for more experienced dressmakers. 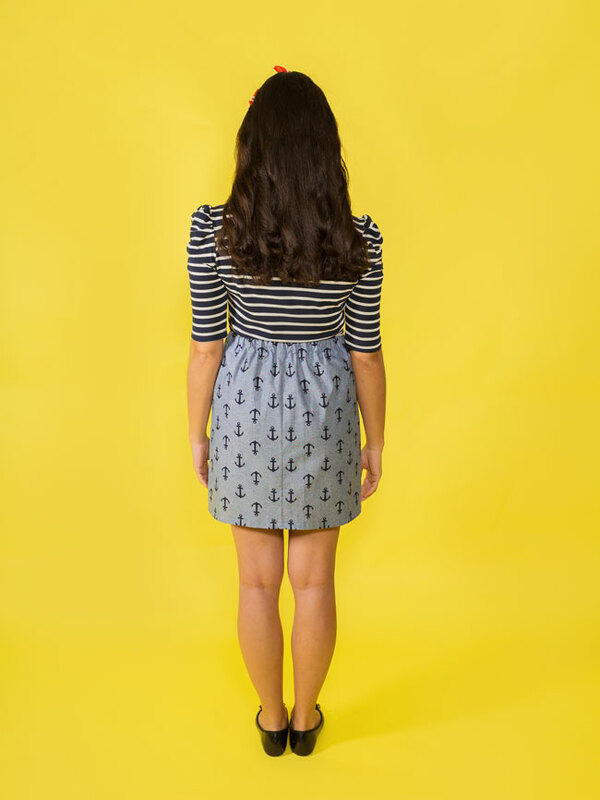 We designed the straight skirt to be the perfect first project for a beginner. With simple construction, no-fuss fitting, no fiddly bits - and of course our beginner-friendly instructions - it's seriously easy to make! We then added the flared skirt pattern as a slightly more challenging project to progress onto. With bias-cut pieces, a different hemming method, plus optional turnover top pockets and elegant sash, it'll take your skills up a notch. Wear the skirt year round - with an Agnes top and bare legs when it's warm, knitwear and boots when it's not so warm! 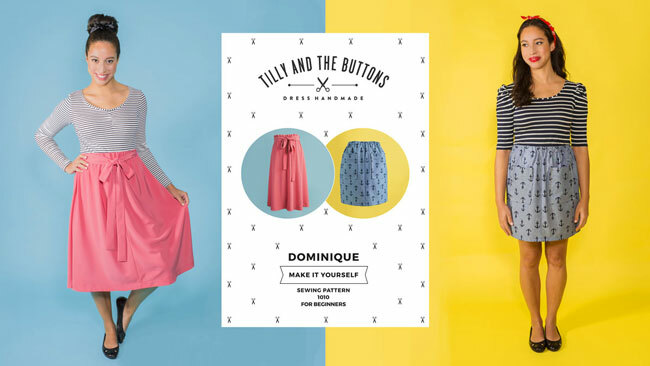 Like all Tilly and the Buttons sewing patterns, Dominique comes with a gorgeous instruction booklet written in plain English, with helpful tips and colour photos demonstrating each step. It's available as a beautiful printed pattern sent in the post with full size sheets and colour booklet, or a digital version which will be emailed instantly for you to print and assemble at home. Patterns are also winging its way to stockists across the world. If your favourite local haberdashery doesn't have it in stock, you can ask them to order it! The pattern comes in eight sizes, from UK 6 - 20. The simplicity of its shape makes this pattern easy to grade up to larger plus sizes - we've got a blog post coming up to help you choose your size and create a bigger size if needed. Need some extra guidance? Wish you could join a class to make the skirt? Well now you can! 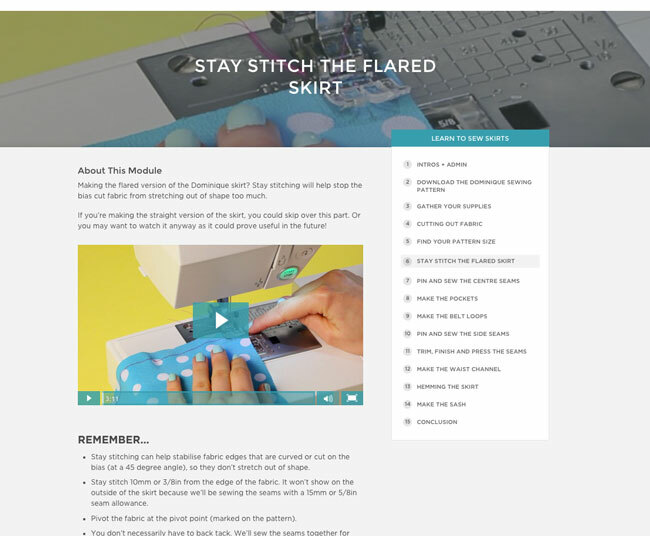 Watch the steps in video lessons with our online workshop, Learn to Sew Skirts. 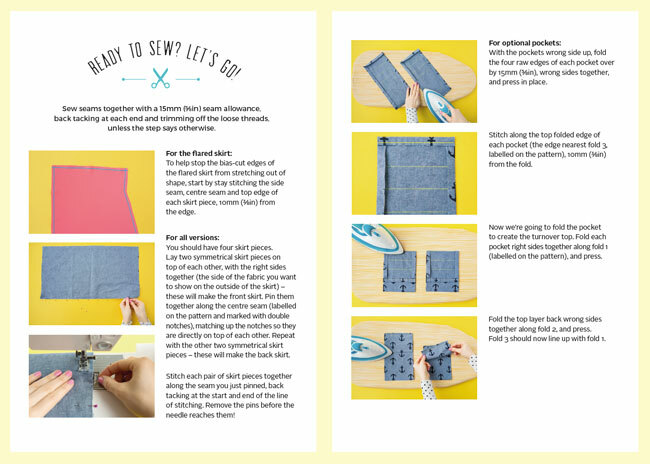 The print-at-home version of the pattern is included as part of the course materials. ORDER YOUR DOMINIQUE PATTERN NOW!